Newer truck for me. 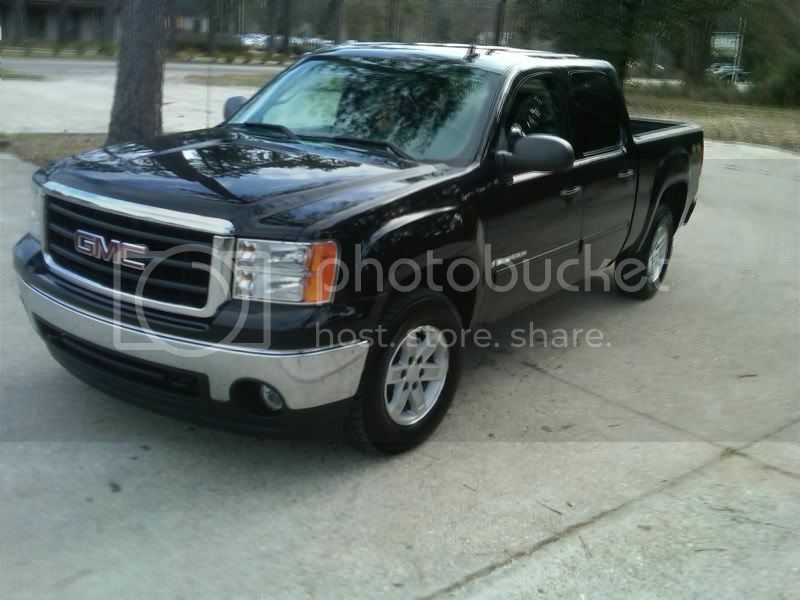 '08 sierra SLE2 crew cab, 5.3, 4x4, black on black. Bought a few weeks back, had a few problems so far... Replaced all the interior speakers, got the cruise control repaired. Needs a power lock assembly, and a good polishing. Saturday is developed a pretty serious tick in the engine, took it the dealership today. They're saying lifters and maybe a cam needs replaced. Hooray for warranties. Diggin' the truck otherwise.